Bas van der Zeijden is a student from HAS University of Applied Sciences (Netherlands), who is currently conducting a study to compare the mammals abundance between nature Reserve and other properties in Ojochal. The study will last 22 weeks, and it started with a meeting between him and the property owners to explain what this study is about. 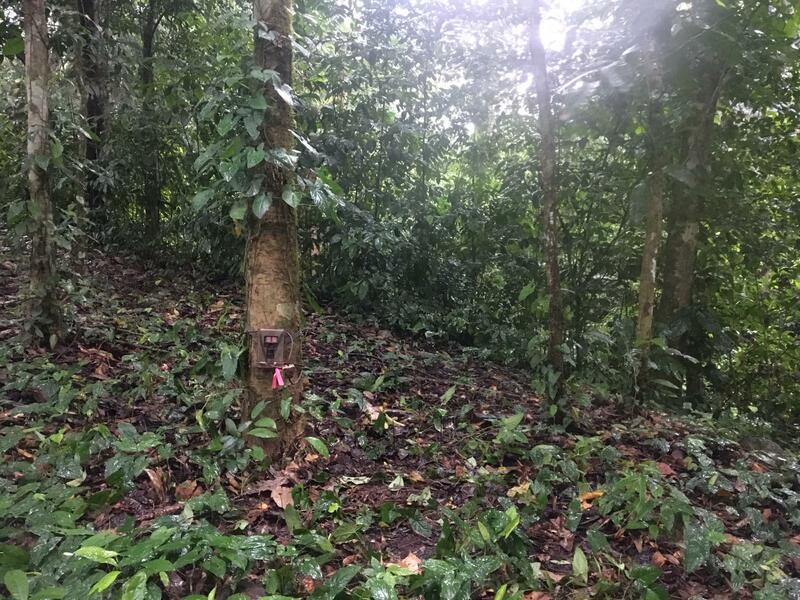 There are 3 trail cameras at the Reserva and other 3 cameras on 3 different properties in Ojochal, that after 6 weeks will be set on other 3 different properties. 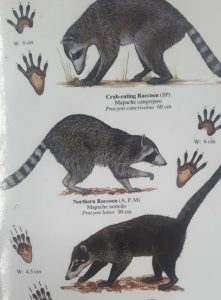 Some of the mammals that the student has found on the cameras at the Reserva Playa Tortuga are: agoutis (more than 40) (Dasyprocta punctata), raccoons (Procyon lotor), pacas (Cuniculus paca), ocelots (Leopardus pardalis), among others. 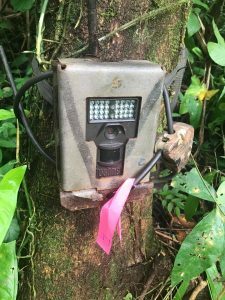 Meanwhile, at the properties the cameras have recorded also ocelots, agoutis, zorro pelón (Didelphis marsupialis), etc. So far, at private properties the mammals are equally spotted than at the reserve. It’s important to mention that sometimes when the pressence of mammals are less, some factors are: the construction of big fences, roads and especially domestic pets, such dogs and cats, even though some of the the owners say their pets are kept inside the house. After the camera setting is done, Bas will check and compare the footage, and when the results are ready, he hopes to make a presentation to show this to the neighbors who participated and the rest of the community.